Our approach to your wedding is defined by a few simple terms: Personalized, Tasteful, and Fun. Your wedding begins a new chapter in your life. That’s why it’s so important to get the details right. Throughout the planning process, we focus on learning about who you are as a couple: not just the music you want to hear, but your style and personality, the things that make you unique from any other couple. When we hand-pick your DJ three weeks before your reception, you’ll know that you’re working with someone who fits your style, energy, and musical taste. You will love our easy-to-use online reception planner. This powerful software allows you to customize your entire reception at your own pace from any smartphone, mobile device, or computer. 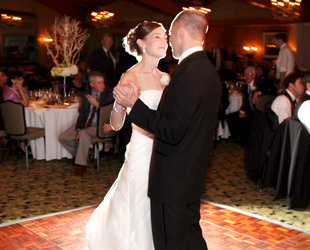 We’ll walk you through every detail for your wedding reception, and suggest helpful tips, songs, and ideas along the way. 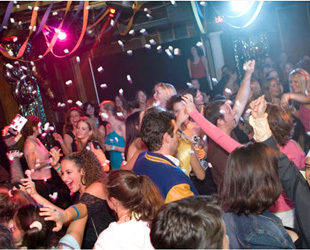 Our online planning software was created by an experienced team of DJs with you, the upscale bride, in mind. It gives you the ability to mold your reception into the wedding you’ve always envisioned. On your wedding day, you will have one job…to enjoy the moment and delight in your wedding. 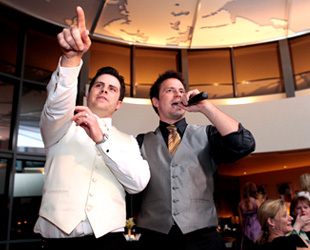 With your detailed reception planner in the hands of our talented MCs and DJs, we make that possible. You get an entire TEAM of professionals to make sure your wedding is a huge success. With our easy-to-use online planning tools, you can plan your wedding from the convenience of your home, any day or night, 24/7. Questions? Concerns? We give you great resources AND direct access to our staff. Fun & Professional DJs - NO CHEESE! We care about your event and are never intrusive or obnoxious on the microphone. We believe in tasteful audience participation and will not overwhelm your guests with endless or unneeded DJ microphone chatter. We don't just play music. We adapt to and create the atmosphere of your reception, injecting energy when needed and carefully guiding the flow of all formalities. With our award-winning and trendsetting Seattle DJ talent, you can be assured that we will keep your event energized with great music and polished professionalism. We will work with you to ensure that your wedding includes the traditions that are most important to you, from introductions and toasts to the cutting of your wedding cake and first dance. Customized Packages for YOUR Budget! We offer a variety of packages to meet the needs of almost any budget. 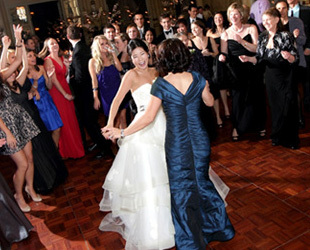 From our economical Classic Seattle Wedding DJ package to our exclusive two-person MC and Wedding DJ team packages, we present couples diverse options that are simply not offered by other wedding DJs. Thank you for inviting us to be part of your wedding. We look forward to serving you.